Hotel restaurants are not always the first option that come to mind when you think of fine dining, as the atmosphere can be a little staid – however sometimes it’s worth making an exception. 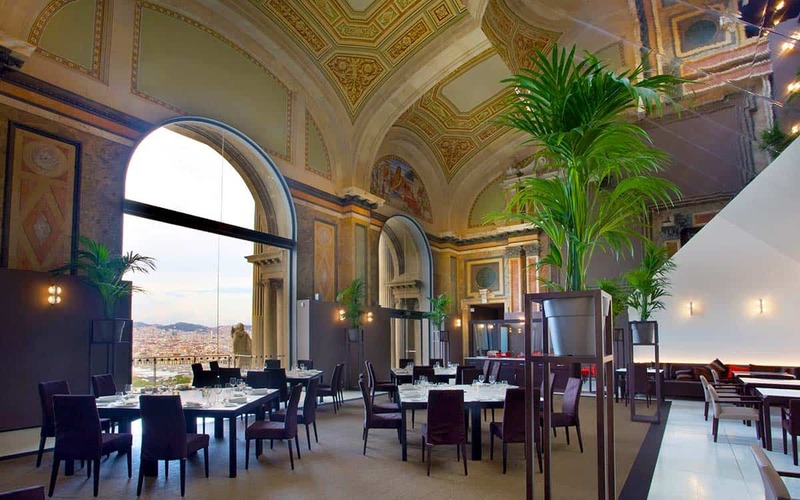 That’s certainly the case for the Restaurant Lasarte at the Condes Hotel, which operates under the stewardship of arguably Spain’s leading chef, Martin Berasategui. The restaurant recently racked up its third Michelin star, making it the most decorated eatery in the city. The dishes here vary according to what’s in season with main courses from the a la carte menu that start at around €50 a plate and include creative bites like red prawns served with sea urchin flan and sheep’s milk caviar. black truffle glazed hare ravioli with sautéed artichokes and trompette mushrooms. For special occasions you might want to try and bag the Chef’s Table, a space for up to 8 people located in a loft above the kitchen, where a glass wall allows you to watch the culinary orchestra play out the night.